James Wertz is a well-known and respected financial consultant in the Northern Colorado area. 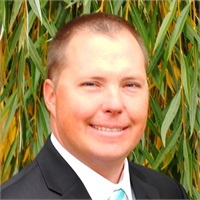 With over 10 years of experience in the financial industry, James has built his reputation by helping educators, small business owners and individual investors plan for their financial future. James was born and raised in Fort Collins, CO. He enjoys golf, fishing and spending time in the outdoors. He lives in Windsor, Colorado with his wife, Kelsey and their two daughters Rylee and Bailey.